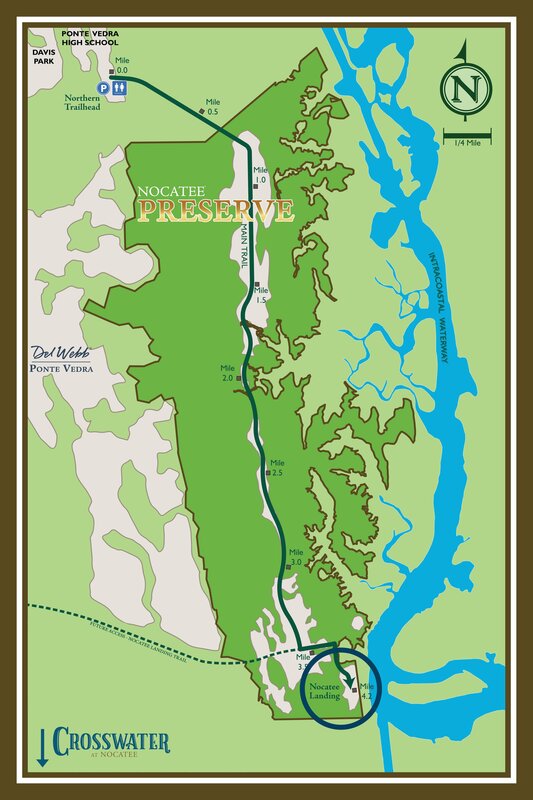 The Nocatee Landing will be located at the base of the southern trailhead of the Nocatee Preserve, adjacent to the Tolomato River (Intracoastal West). The connector road off Crosswater Parkway, Nocatee Landing Trail, is approximately 1 mile north of the new Crosswater collection of neighborhoods. The Nocatee Landing’s open-air pavilion will feature stunning views of the river. Bike racks, ample parking and restrooms will all be available to the community. Nocatee residents will be able to launch non-motorized water vehicles, like canoes, kayaks and stand-up paddle boards. If you enjoy exploring local waterways and nature, you will love this new community addition. Construction is well underway, and the Nocatee Landing is expected to open in 2019. This Americana-theme new amenity will include a small and large dog park, nature trails, playground, open-air pavilion and a playfield. Schoolyard will be located between Liberty Cove and Freedom Landing in Crosswater, off Crosswater Lake Drive. 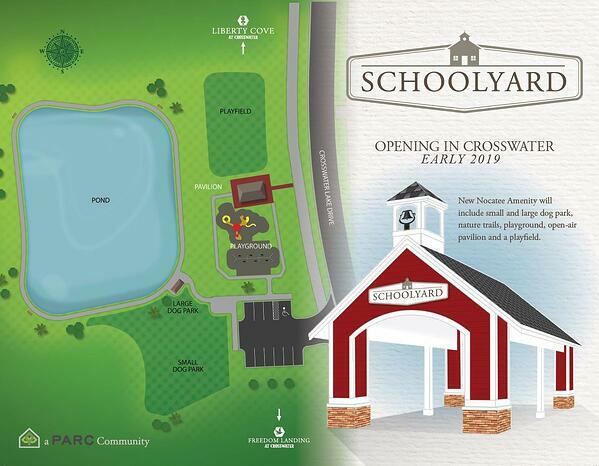 Schoolyard will open early 2019 for Crosswater residents.